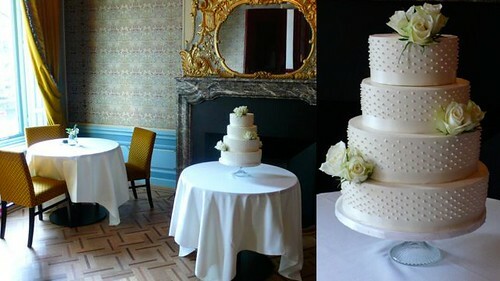 Classic Wedding Cake, a photo by CAKE Amsterdam - Cakes by ZOBOT on Flickr. Buttercream wedding cake with sugar pearls and ribbon. Flavor : White Velvet Cake with Cream Cheese Mousse and fresh Raspberries.